Contains only a download code. Extract the contents of the mod. 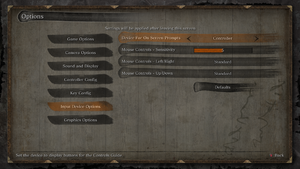 Copy dinput8.dll and modengine.ini to your Sekiro directory. 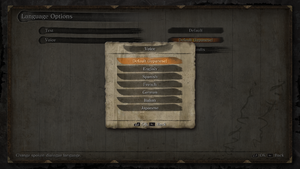 Copy dinput8.dll to your Sekiro directory. Boasts an FPS unlocker, custom resolutions, game and player speed tweaks, FOV modifications, borderless windowed mode, and more. Works with multiple game versions. Has to be run every time as this edits the values in RAM. 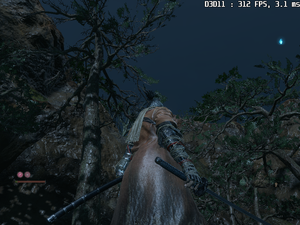 Uncapped frame rate above 60fps with mod. 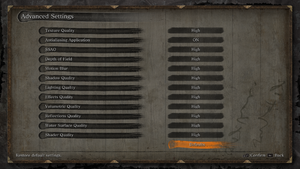 Scales automatically via Texture Quality setting. 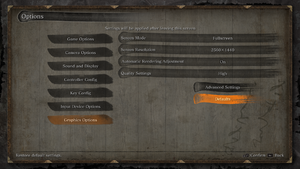 Set independently via graphics card control panel. On by default; can be forced off within control panel. Capped at 60 FPS; use jackfuste's fix. See also Run the game at screen refresh rate. Alt+Tab ↹ out and back in to the game if colors are washed out or HDR does not engage properly. 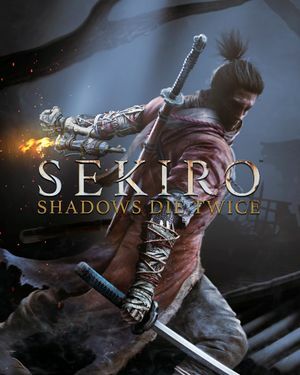 Replace the <path-to-game>\sekiro.exe with the one inside sekiro_v4.7z (using 7zip). Some issues with red vignetting and other effects that are in the 16:9 area. These can be fixed using another jackfuste fix that disables these textures entirely. FOV can be set to any value between -95% and +95%. 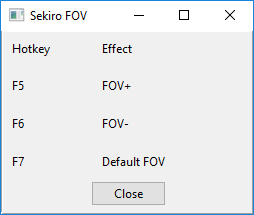 Use F5 to increase FOV, F6 to decrease FOV and F7 to default FOV. Open sekiro.exe with a hex editor such as HxD. Find the bytes F3 0F 10 08 F3 0F 59 0D 0C E7 9B 02. 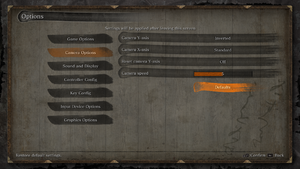 Change option 'Mouse Controls - Up/Down' rather than the 'Camera Options'. 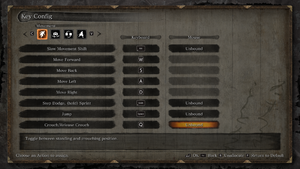 Download Native PS4 Buttons mod. 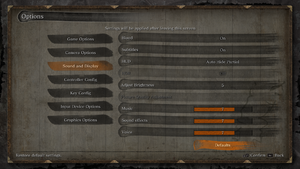 intensity can be customized within game's settings. Users reporting that DualShock 4 does not work for them. Default DualShock 4 profile may have mouse function bound to gyro, causing spinning camera. Reports show having multiple monitors plugged in causes performance issues. Fullscreen mode defaults to 60 Hz even if the screen refresh rate is set higher than that. Start the Nvidia Control Panel. Go to "Manage 3D Settings" in the left pane, then "Program Settngs" in the right pane. 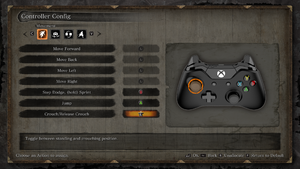 Click "Add", locate Sekiro and add the selected program. In the Feature list, set "Preferred refresh rate" to "Highest available". In the Feature list, set "Vertical sync" to "Off". Click "Apply" in the bottom right of the window. Download 3Dmigoto (or download Disable_textures_v3.7z if you want to remove texture overlays). Extract d3d11.dll, d3dcompiler_46.dll, and d3dx.ini to the installation folder. Open d3dx.ini and go to the [Device] section. ↑ 1.0 1.1 File/folder structure within this directory reflects the path(s) listed for Windows and/or Steam game data (use Wine regedit to access Windows registry paths). Games with Steam Cloud support may store data in ~/.steam/steam/userdata/<user-id>/814380/ in addition to or instead of this directory. The app ID (814380) may differ in some cases. Treat backslashes as forward slashes. See the glossary page for details. This page was last edited on 18 April 2019, at 04:54.